Manchester United interim boss Ole Gunnar Solskjaer has told Alexis Sanchez the Chilean needs to play himself into form. Sanchez has struggled for form and fitness since making the move to Manchester United in January of last year, and was largely ineffective after his introduction as a second-half substitute against PSG in a Champions League last-16 tie on Tuesday. The 30-year-old replaced Jesse Lingard at half-time but failed to make an impact as the Red Devils fell to a 2-0 defeat after goals from Presnel Kimpembe and Kylian Mbappe. 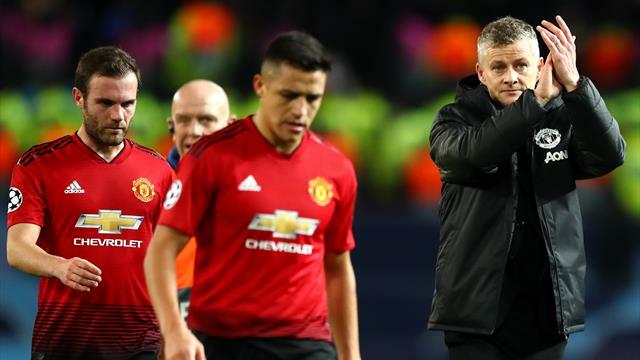 And Solskjaer, who has presided over a spike in performances and results since his appointment on an interim basis, said post-match that Sanchez needs to play himself into form. "I can't do anything about Alexis Sanchez," said Solskjaer after the match.
" When he plays he needs to find himself because we know there's a quality player there." The Chile international has scored two goals in 19 games this season, and three goals in 37 matches for the Old Trafford since his 2018 switch from Arsenal.